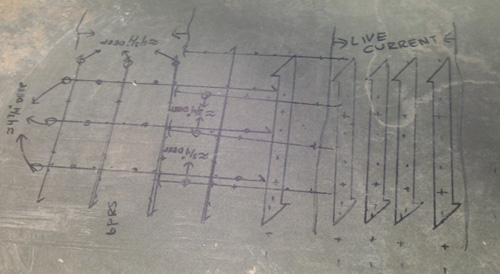 Locate subsurface hazards prior to concrete cutting. 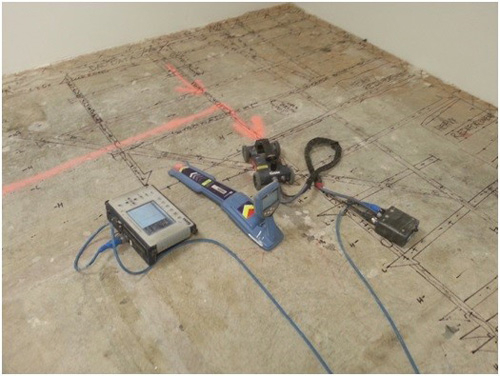 GPR can quickly and accurately locate conduits, plumbing lines, fiber optics, duct banks, or post tension cables in concrete prior to cutting or drilling. Using ground penetrating radar to locate subsurface obstructions can help avoid costly repairs, downtime, and injuries. It is the customer’s responsibility to make sure the cutting area is clear.